I guess we chose a good prize to give away last week. Turnout for our ‘Interstellar’ Blu-ray Collectible Gift Set contest was very strong, and our readers provided tons of hilarious entries. Sadly, only one can win. Let’s find out who that will be! 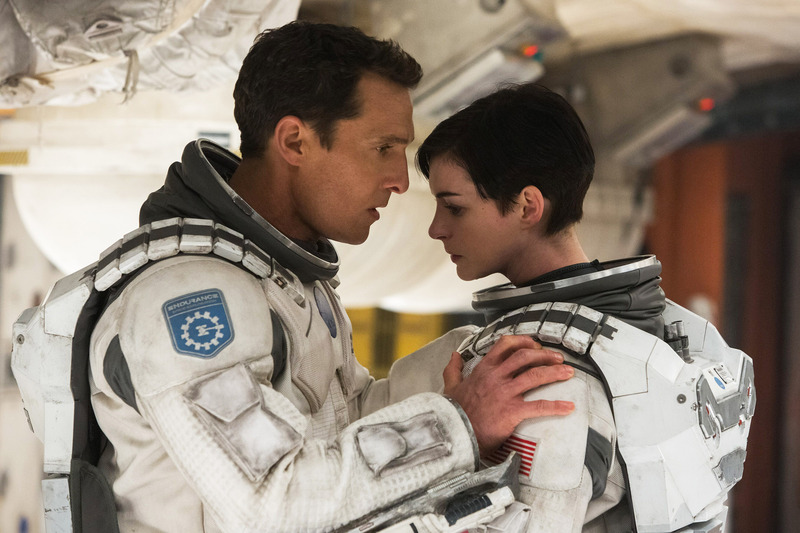 NJScorpio: McConaughey – *whispering* I don’t really understand what is supposed to be happening in this scene. Alex: So, you wanna do that thing with the animal crackers from Armageddon? moremovies85: I don’t care what you say, this haircut looks better on me. Blu G: COOPER: Say, Brand, you got a joint? BRAND: No, not on me, man. COOPER: It’d be a lot cooler if you did. Justin: Stay calm and look at me. But I think that is Matt [email protected]$%!NG Damon over there. Chapz K: Look, I’m sorry about getting you knocked up. Calendar-based birth control isn’t very effective when space and time are distorted out here. Rob: Cooper stood motionless….stunned. He couldn’t believe it wasn’t butter. Edward W: I drove spaceships before they were cool. Nick: That’s what I love about these gravitational time dilations…the girls keep getting older and I stay the same age. Eugene: The certainty of impending doom hit them hard as they just now realized they had forgotten to put ‘helmets’ on their ‘to do’ list. Leon D: Matthew: I’m Misérable after wearing this space suit all day, too. Vincent M: I’m confused. Is it a warm hole? You’re in luck, Cliff. With the Blu-ray, you can turn on subtitles to find out what the characters are saying beneath all that racket. Congratulations to Cliff for winning the ‘Interstellar‘ Blu-ray Collectible Gift Set, and thanks to everyone else for participating in our contest. Woohoo! I am very fortunate and very thankful to you guys for this and having these contests. I always look forward to your news stories, reviews and industry updates. HDD rules! Thank you all!